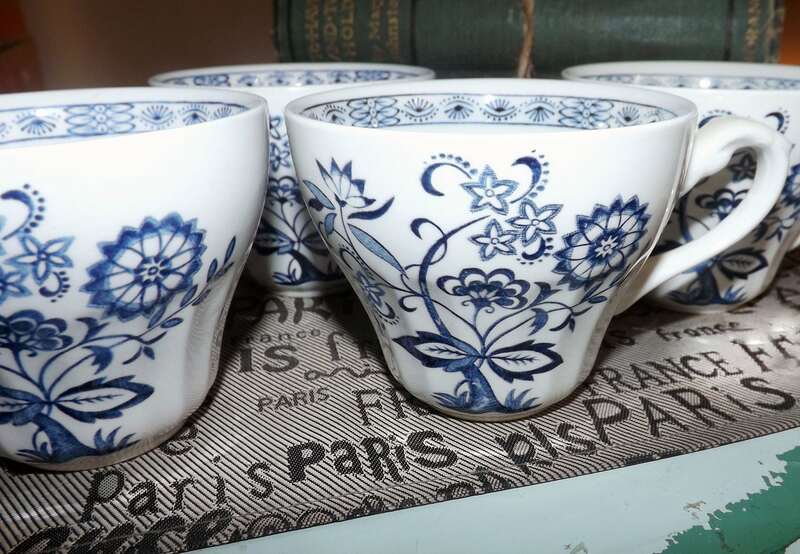 Vintage (1960s) J&G Meakin | Meakin Blue Nordic | Blue Onion blue-and-white, Delft-inspired flat orphan tea cup only (no saucer). 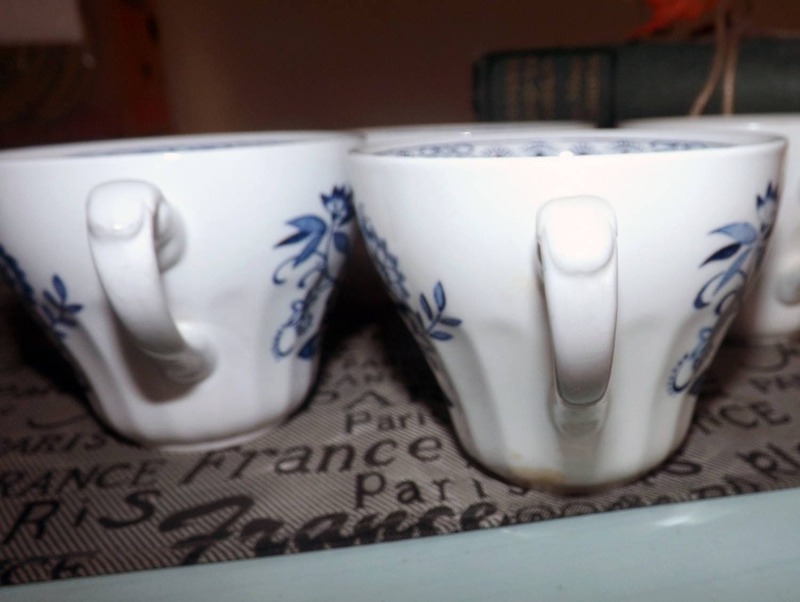 Vintage (1960s) J&G Meakin | Meakin Blue Nordic | Blue Onion blue-and-white, Delft-inspired flat orphan tea cup (NO! saucer). Scalloped edge, swirled body. In EXCELLENT condition with NO! chips, nicks, cracks, or fleabites and NO! crazing. 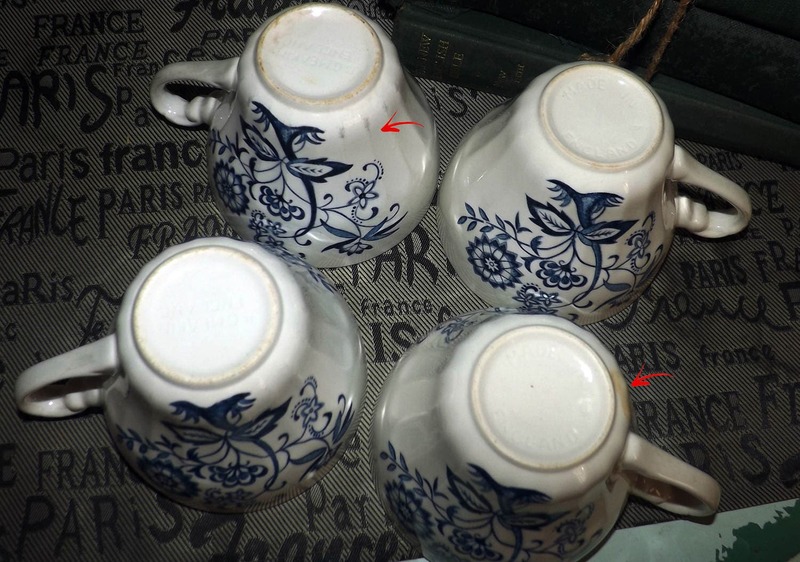 One of the available cups has some browning near the base and thus has been listed at a lower cost than the other available cups. Otherwise, there are NO! other marks stain, or signs of use or wear. 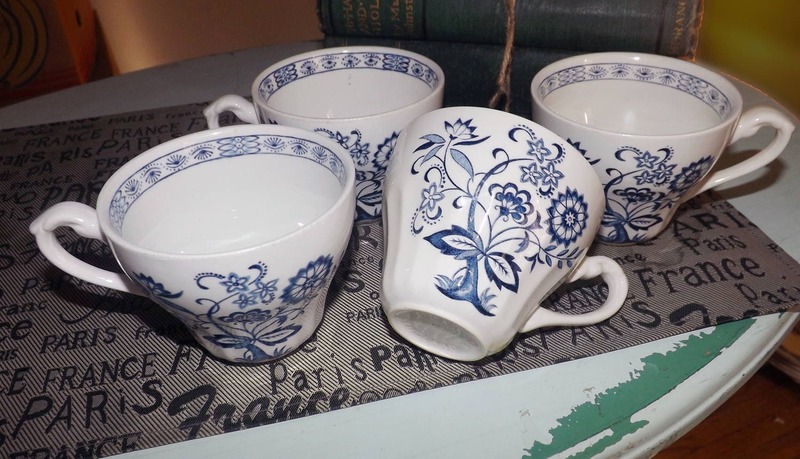 The blue-and-white floral | onion pattern is fresh and vibrant with NO! noted fading. Cups bear the JG MEAKIN ENGLAND impressed mark to base. 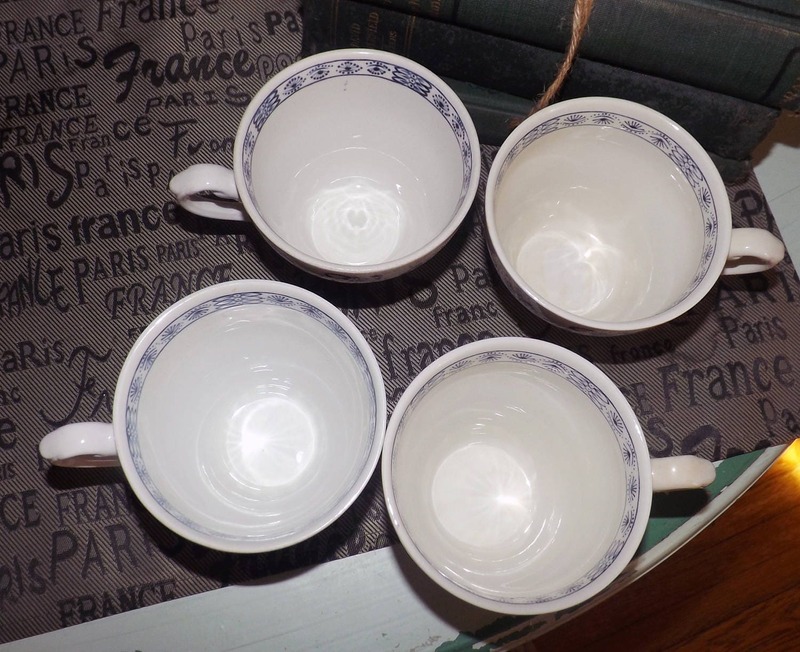 Approximate measurements: flat tea stands 3-1/2" with a 4" diameter bowl.